Ooo la la! 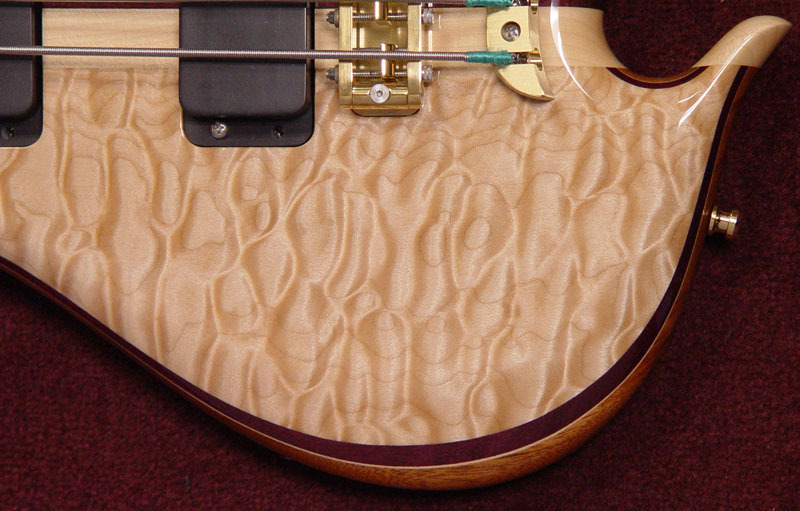 Drop dead, absolutely gorgeous Quilted Maple graces the front of this stellar Signature Deluxe bass. 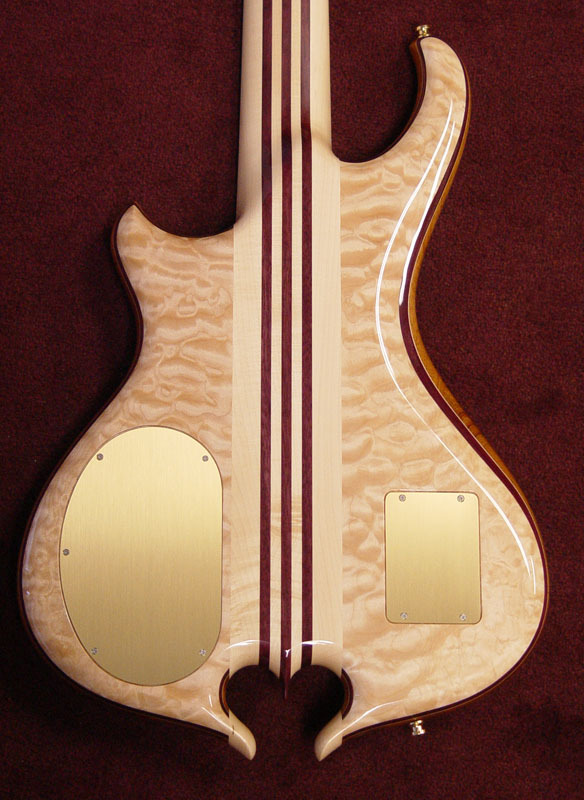 If you're in the Atlanta area, do stop by Atlanta Bass Gallery and try it out personally. In our latest interpretation, the Balance K body shape shows its beautiful curves are not only for the eyes. With an offset cutaway, trimmed waist and hips, it's a slenderized version of our Standard Point and Omega body shapes. Only this one is engineered for superb balance in long and extra long scale lengths and all the strings you can throw at it. 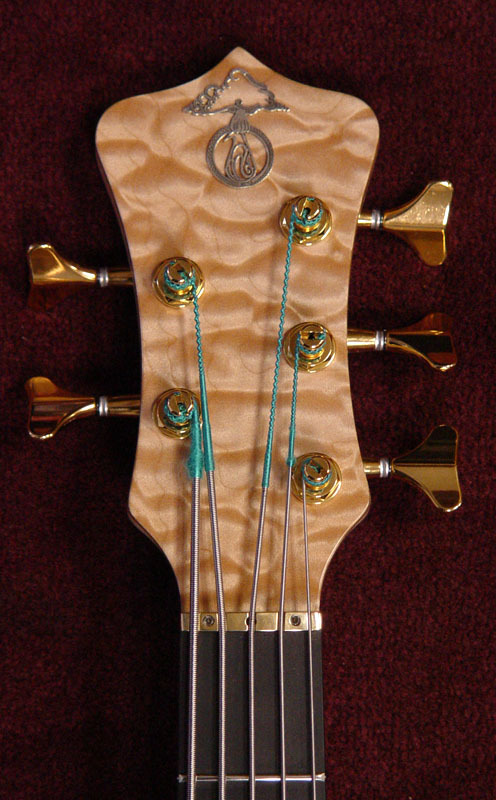 Maple is the primary neck wood, and lends its typical solid and bright tone, and a twist of the filter controls can tame the brightness down for some nice darker sounds. 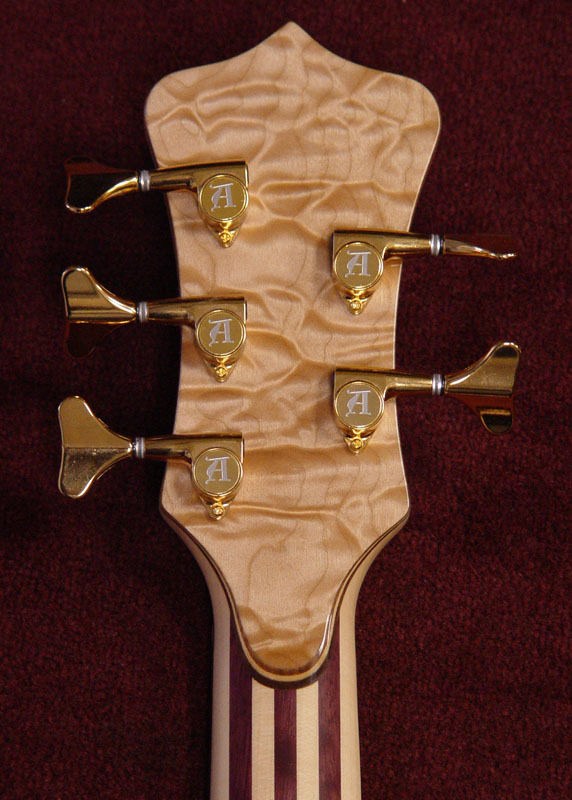 Quilted Maple top and back adds a distinctive "shimmer" to the voice that must be heard first hand to be truly appreciated.